Would you like to add a dot on to an already well-chosen business gift for your business partner? Underline the selection with the correct product color. We have collected some interesting facts about what you are saying with a particular color of the product, and what their significance can be for your business relationship with an existing or future business partner. Colors have a greater impact on us than we would first consider. White: reminds us of snow, angel and winter, symbolizing peace, silence, a new beginning, truth, innocence. Any promotional gift in white will definitely hit the mark, because white can be combined with all colors of the spectrum. Yellow: we attach creativity to this color, it expresses brightness and boldness, and is most often connected with youth, playfulness and curiosity. If you give a business partner a gift that you want his or hers child to use, choose the yellow color of the product, such as the Child dragon Kite. 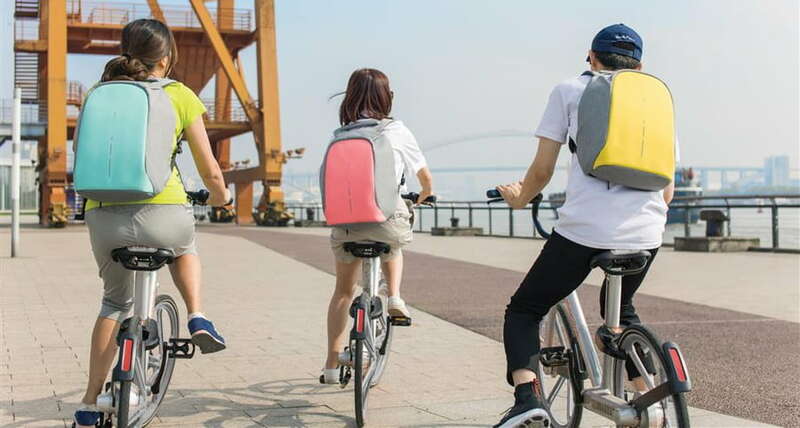 Adults also love business gifts of yellow colors and maybe this will remind you of the yellow umbrella which on a rainy day, makes your walk along the streets more pleasant, bright and colorful, but you have not been aware of why. Orange: this mixture of yellow and red reminds us of the sun, stimulates creativity, and at the same time reflects a good taste and comfort. 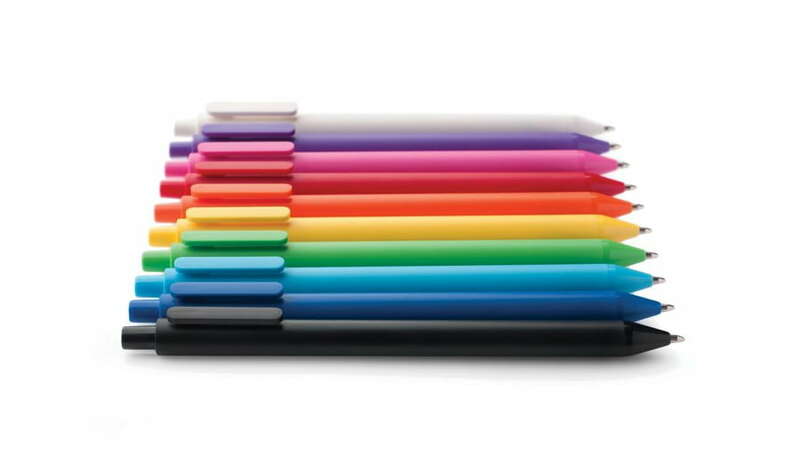 With this color of business gifts you will stimulate activity, communication and inspiration. Red: symbolizes life, love, energy, speed (What color is a Ferrari? ), vitality and dynamism. In the positive sense, it is the most aggressive color with a great influence on intellectual activity. Perfect for the red Sofshell, which you can give to the business partner with a clear, positive message of red. Green: the color of patience, which reminds us of nature and represents happiness, safety and balance. Carefully selected business gifts in green will work on the business partner calming and giving the impression of loyalty and morality. Consider this color also for eco promotional item, as it is associated with recycling and protecting the environment. Blue: with this color we connect water and the sky, and our thoughts, when looking at the blue color, go to freedom and depth. It evolves development and wisdom. Because blue expresses authority, cleanliness and protection is often used for uniforms and work clothes. Blue also symbolizes openness, intelligence, hope and striving to something higher, it is a great color when choosing to buy a gift for a business partner. Purple: is a blend of blue and red and expresses intelligence and emotion. Purple also gives a sense of luxury and prestige, since it has always been associated with power, wealth and power. A business gift in this color will reflect, among other things, moderation, control, and wisdom. Pink: this gentle color reminds us of the beautiful time of birth and exudes gentleness, femininity, positivism and playfulness. It's no wonder that our most popular feminine products for promotional gifts are right in this color! Brown: is a symbol of everything tangible and stable, and according to the scientists belief it extinguishes uncertainty. All of these features are also the heart of a good business relationship, so choosing your promotional gifts in this color is a wise move. Last but not least, brown color also symbolizes materiality, comfort and safety. Black: is the only color in which absence of all colors applies. It symbolizes prestige and is an extremely popular color for premium business gifts that you can find on our website in a very wide selection for both sexes and all ages. 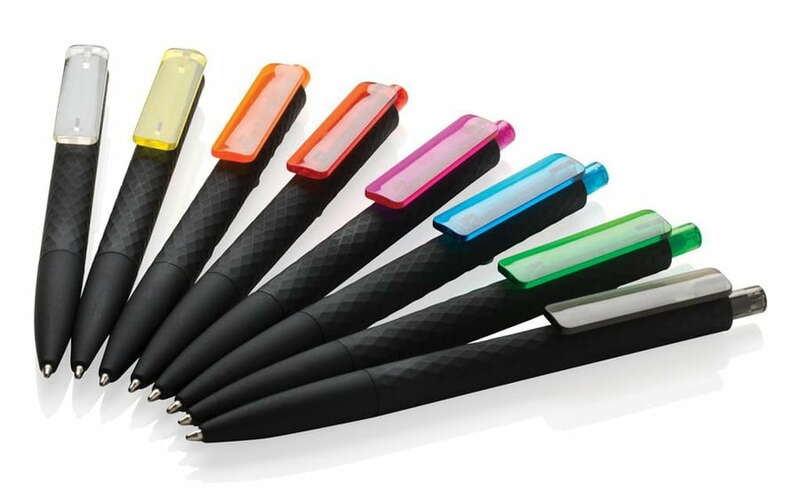 We can confirm from experience, that most of our customers connect the color of business promotional and business gifts, with the color of the logo of the company. Which is also true in most cases, as color continuity enhances visibility for your customers and business partners. Nevertheless, it is not advisable to keep on doing this, even at the price of the items appearance. Let us illustrate this with example. We decided that our company will give away umbrellas and because our logo is in red, we want umbrellas in the same color. Now, there is a problem when we give such an umbrella to an important, mature CEO. Do you imagine him with a red umbrella? Entering the private life of your client is the ultimate goal of any promotion. Therefore it is often appropriate to use the neutral colors of business gifts (black, white, gray, etc. ), because with them we cover the entire spectrum of gifts. Of course, the choice of colors also depends on the situation and purpose, as well as being bold, it has paid out in life in a number of times. Promotional material, however, must always be at least a little provocative to achieve its desired purpose. Why the right color will help you sell? As we have already pointed out, colors are one of the most important factors of visual communication, because they create our own interpretation of the product, brands and opinions about it. Different colors in each individual emit different emotional reactions, which also depend on his experience and the way of thinking. The fact is that colors help sell, as research has shown that almost 85% of consumers have confirmed that color was the main reason for buying a particular product. Did you know that the color of the logo or the color of the base on which the logo is, can affect the emotional determination of the consumer of the company? Such a carefully chosen color of a business gift with your logo and promotional message can help not only to differentiate your company from competition but also in a positive sense affect your wellbeing and thus indirectly the attitude of consumers to a particular product. increase understanding or comprehension by up to 73%. Check out our extensive range of business and promotional gifts in a wide range of colors at PromotionalGifts.eu. Everything can be selected also through the color filter. If you are not sure which color would best suit you, please contact us and we will be happy to help you. Want to learn more about business gifts? Also read the Business Gifts blog - what you need to know about them and about the gift.